Join SfASE today as an editor to collaborate with peers and find exciting freelance editing jobs as well. Sign up as scholar by visiting the join us page. Click at sign up to register yourself as an editor. Fill up the details to create your user account with us. 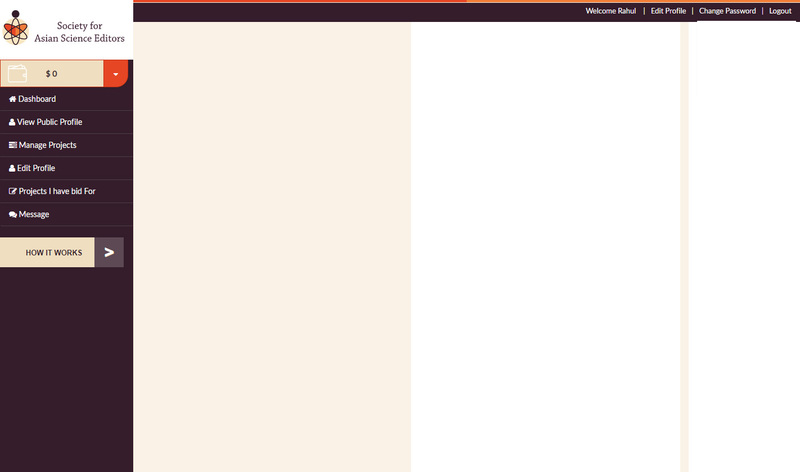 Once your user account is created, you will be able to see your dashboard as an editor. 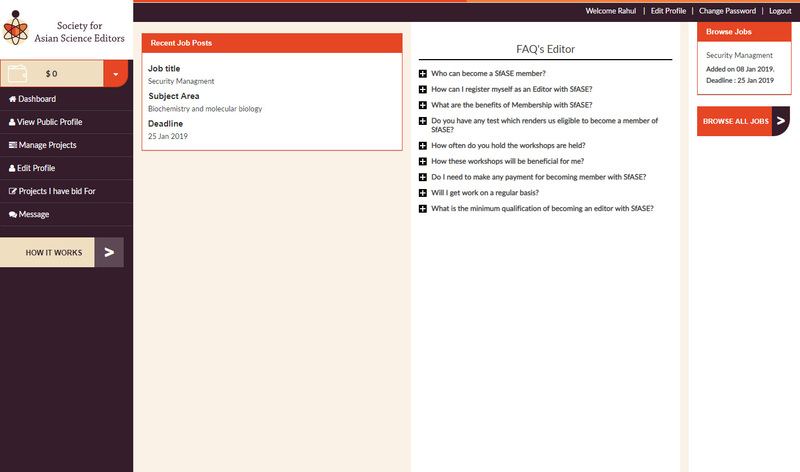 You can click on the desired category to review the work process and begin your journey as an editor with SfASE. 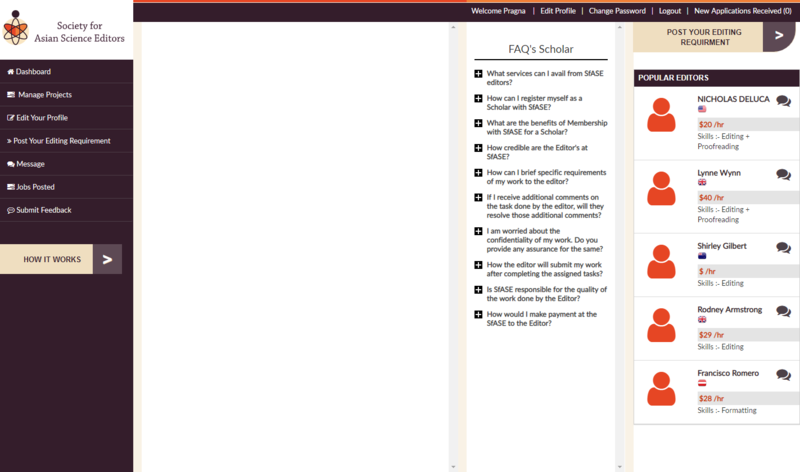 You will also get options to edit your profile, message the scholar, view your public profile and more. 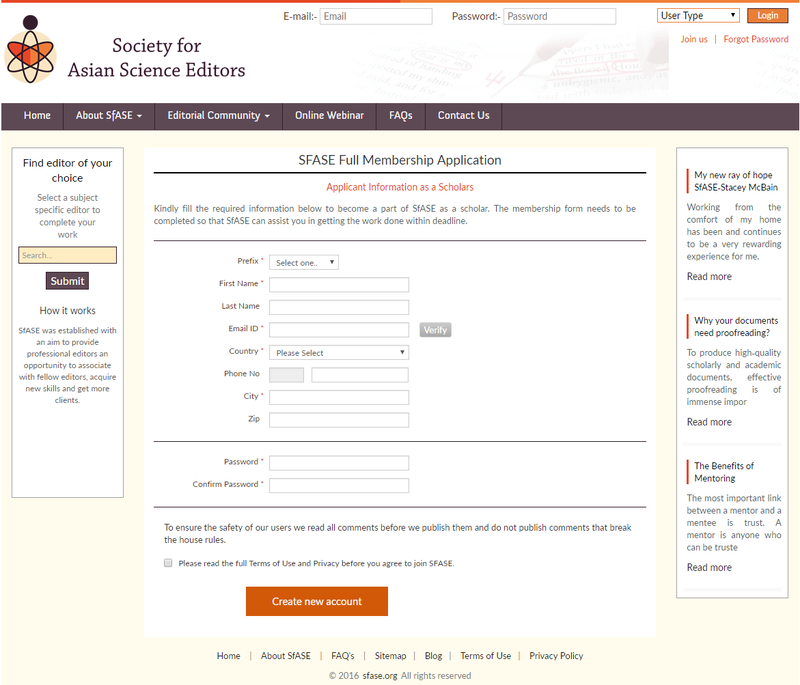 Join SfASE as a scholar to search the most suitable editor for your requirement. If you are a scholar, you can register yourself at SfASE by following the simple steps. 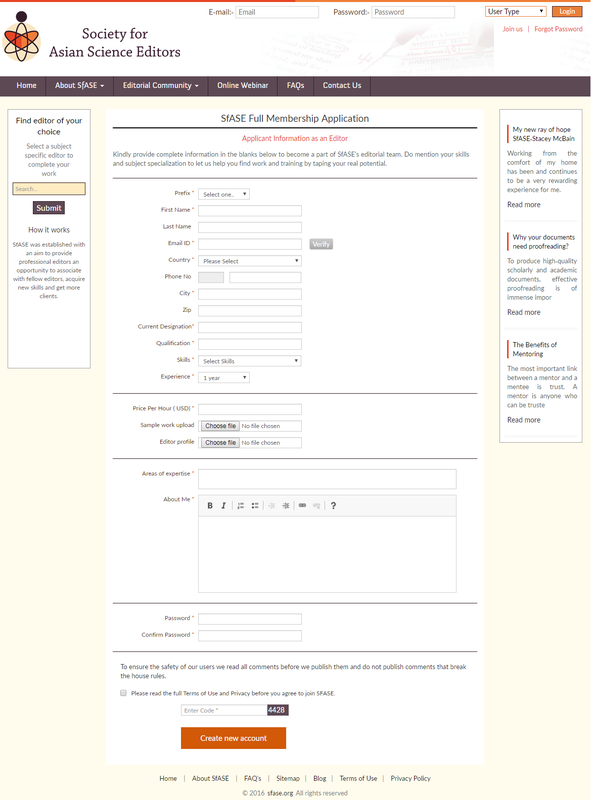 By filling the required details, you can sign up as a scholar with us. 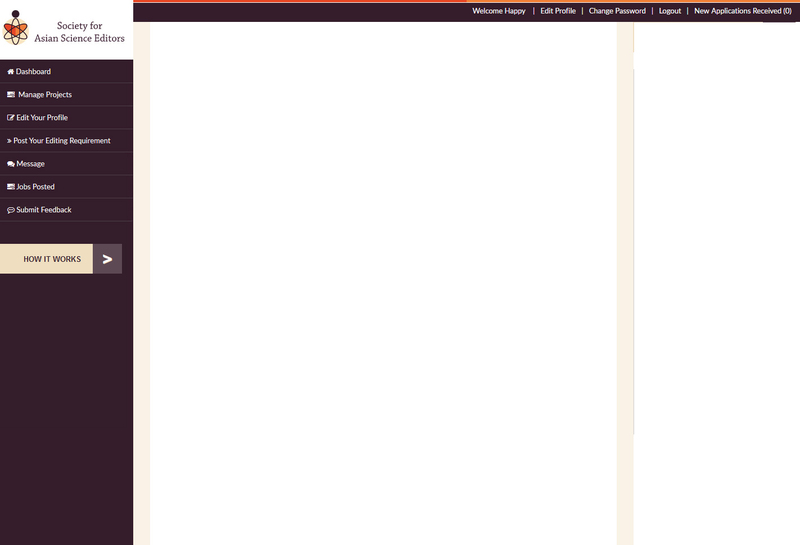 You will be directed to your dashboard as soon as you finish creating the account. 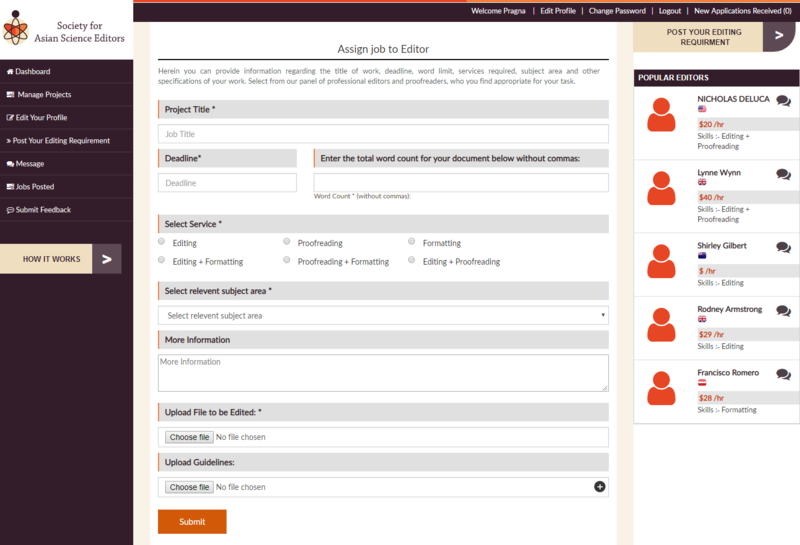 By clicking at the assign job to editor, you can fill the project related details and start the process. 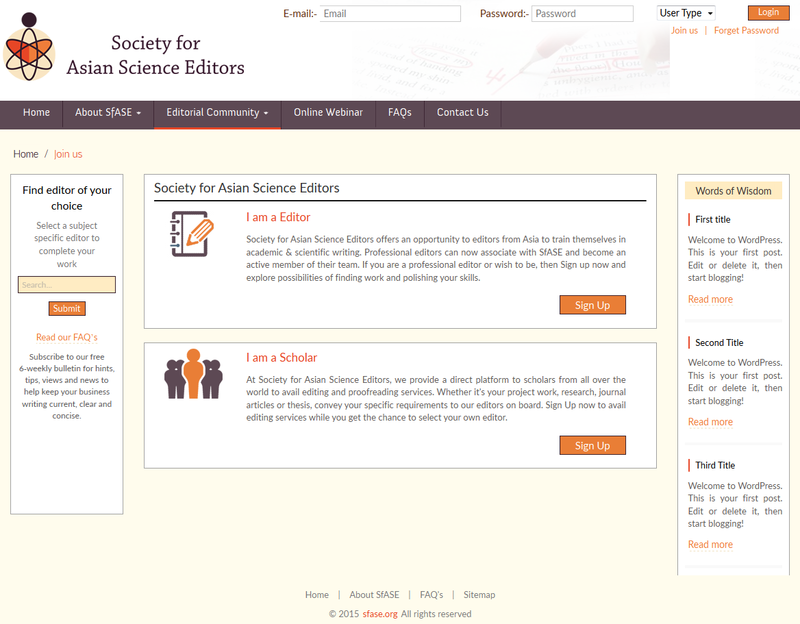 As a scholar, you will have options for editing your profile, message the editor, submit feedback to editor, list of projects assigned by you and project related details.